The death of a Christian is a time for the Church to ministers to those who mourn, and to celebrate the life of one who has gone to God, the author of all life. We will assist you in planning a Christian funeral upon the death of a loved one, or many people choose to plan funerals -- even one's own -- in advance. For resources and policies regarding preparing for the death of a loved one and planning a funeral at St. Thérèse, please click here. Immediately upon the death of a family member, please contact Fr. Kevin. 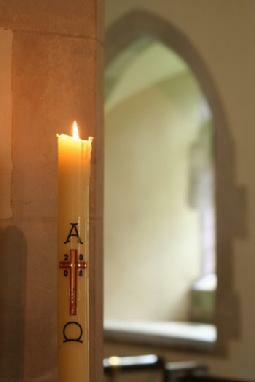 He and other members of our parish will assist you in preparing the funeral and with any other needs you may have.